Steve Howland is a graduate of ASU where he received his Doctorate and Masters degree in guitar performance under Frank Koonce. At ASU he held a graduate teaching assistantship and received honors from the ASU Faculty Committee for “outstanding scholarship and musicianship.” His performance experience includes guitar solo, lute, vihuela, duet, and mixed ensemble. 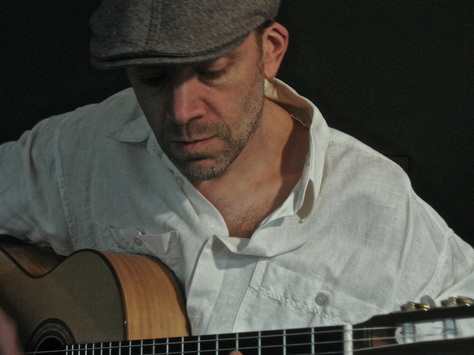 His guitar studies have spanned many genres including flamenco, jazz, rock, and “acoustic fingerstyle.” Steve currently teaches jazz and classical guitar at Pacific Lutheran University. Private instruction with Steve is $75 per hour, $60 per 3/4 hour, or $45 per half hour.